A masquerade ball in a secluded abbey; a vendetta settled in the wine cellars of an Italian palazzo; a gloomy castle in a desolated landscape; the beating of a heart beneath the floorboards: the plots and settings of Poe's dark, mysterious tales continue to haunt the popular imagination. This new selection introduces the greatest Gothic fiction from one of the most deranged and deliciously weird writers of the 19th century. 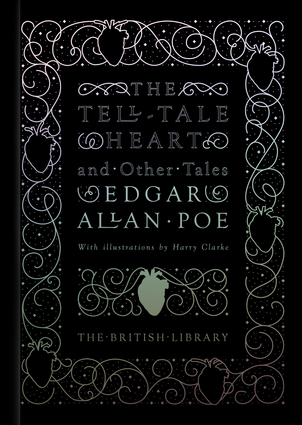 The tales are accompanied by the classic illustrations of Harry Clarke, an artist fully alive to the deep darkness at the heart of Poe's writing. Greg Buzwell is Curator of Contemporary Literary Archives and Manuscripts at the British Library. He edited and introduced The Face in the Glass, a selection of Gothic tales by Mary Elizabeth Braddon; and co-curated the major exhibition Terror and Wonder: The Gothic Imagination in 2014. Edgar Allan Poe (1809-1849) is one of the central figures of American literature. He is best remembered for his Gothic tales, his ground-breaking innovations in the new genre of detective fiction, and his poetry.